Sipping a boozy cocktail, which I’ve convinced myself must be the solution to my jet lag, I’m peering out from VEA Restaurant’s 29th floor lounge across Hong Kong’s iconic skyline for the first time. 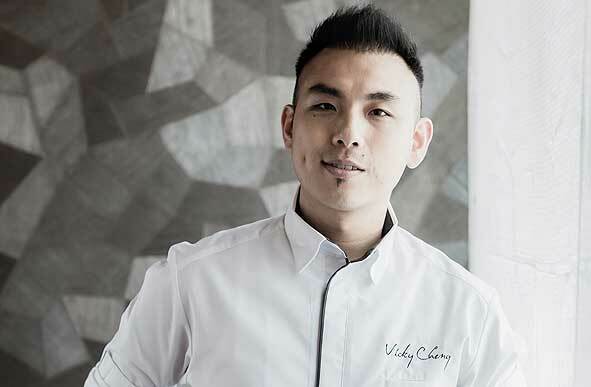 I’m unaware chef Vicky Cheng is about to bring out one of the most impressive dishes I’ve ever eaten. When he places it in front of me, I realize I’m gazing down upon a miniature edible mushroom forest, a dish made with no fewer than eight different types of mushrooms. The stunning assortment seems to sprout from an earthy brown forest floor, and there are a couple of dark green leaves complete with tiny dewdrops. But the dish isn’t finished yet. Cheng makes his way around the table, sprinkling the forest with bright green Matcha “moss” and pouring in dry ice that swirls like morning mist through this tiny wonderland. It’s a masterful homage to Chinese mushrooms and easily the most magical piece of edible art I’ve ever come across. What’s even more impressive is how the flavour lives up to the aesthetics. I find myself in a whole new stratosphere of mushroom enjoyment as I munch through this rich, earthy, creamy, bold, sweet, subtle and beguiling fungal forest. With the uptick in vegetarian dietary choices and concepts, like local, sustainable and foraged foods on the rise, the mushroom is having a bit of a global heyday at the moment (portobello burgers, anyone?). But in the Chinese culinary world, it’s hardly a new ingredient; mushrooms have been a beloved staple for centuries. In traditional Chinese medicine, they have been revered for over 2,000 years. It’s no wonder then that the mushroom is a symbol of longevity in Asia. Enter through a large mushroom-shaped gate that blows bubbles and you’ll find a living encyclopedia of Taiwan’s mushroom varieties at the Mushroom Garden. Here you’ll find everything from the popular shiitake and golden oyster mushrooms to the medicinal lingzhi. But most importantly, this is where you can buy air-fried mushroom chips and mushroom ice cream to satisfy all the mushroom cravings you never knew you had. Wander down Ko Shing Street to discover the heart of wholesale herbal medicines in Hong Kong. You’ll find myriad little storefronts stocked to the brim with goods spilling out into the street: dried mushrooms and seafood in large jars, tubs, buckets and bags, among many other mysterious medicinal ingredients to cure every ailment you can come up with. It’s a feast for the eyes and a glimpse into Hong Kong’s still thriving traditional cultural heritage. Learn about the development of the mushroom industry in Taiwan over the past 50 years at the Mushroom Museum, located on the sixth floor of the Wusheng Rural Township Farmers’ Association building. There around 1,300 square metres of space dedicated to the history, culture and science of mushrooms. There are also many mushroom farms in the area where you can pick your own. 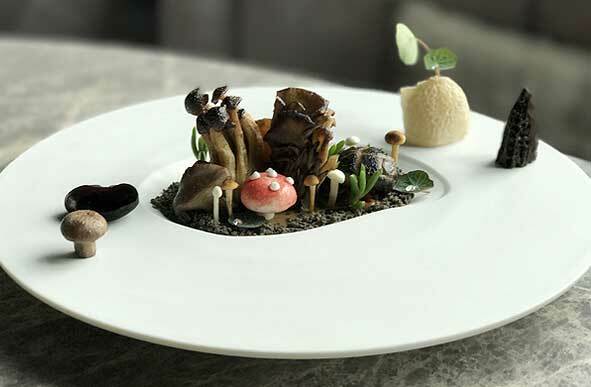 Enjoy a seasonal eight-course mushroom tasting menu with international wine pairings at the Four Seasons Hong Kong. Dishes include steamed grouper with matsutake mushrooms and wok-fried wagyu beef with sarcodon aspratus mushrooms. The menu is an excellent showcase for some more unusual mushrooms you may not have come across before. Nicola is an international award-winning writer, editor and communication consultant based in Toronto. She has travelled to 32 countries so far and is always poised to head out the door again. Nicola loves both the visceral and intellectual dimensions of travel, and will passionately argue for its psychological paybacks, especially after a few glasses of wine. She lives for opportunities to illuminate the life-changing power of travel for as many people as possible.